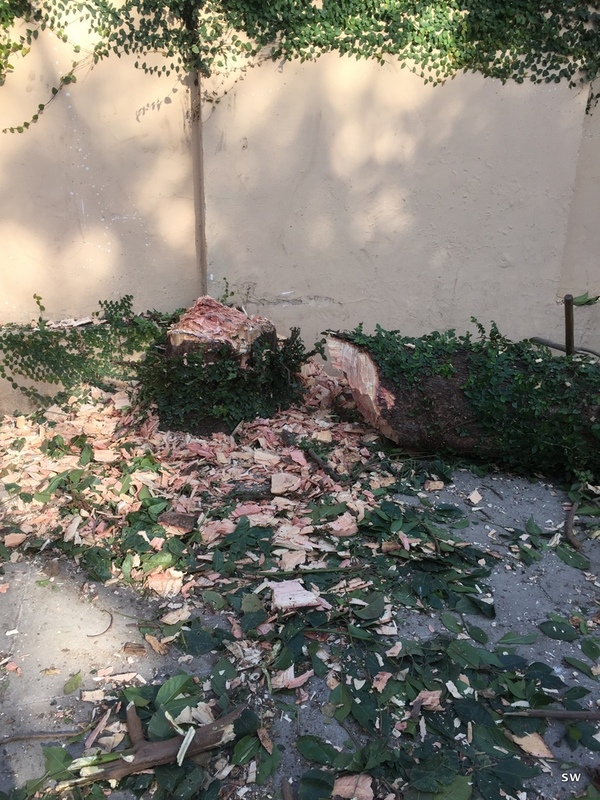 A few weeks ago the neighbour invited us over for tea and politely asked us to remove a tree in our driveway that was bothering him. A couple of days later we received a large bag full of vegetables as well as some delicious juicy grapefruits from the neighbour’s nearby farm. Then the time had come and soon he sent some workers to cut the tree. We sat on the porch and watched them for a while. I was pretty impressed by their technique and speed – within a few hours the tree had been felled and by the end of the day everything was gone, leaving us with a stump and the workers with a whole lot of wood to take home.